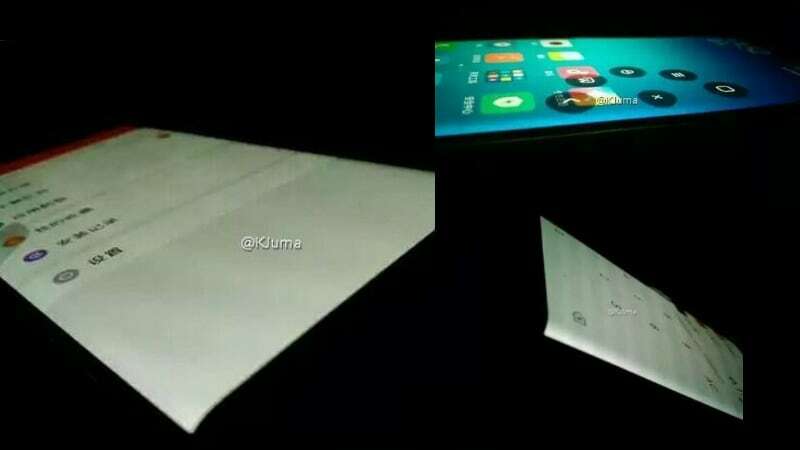 The latest Mi Note 2 images were leaked by tipster @kjuma (and were picked up by Gizmochina). The images aren't as clear as the render images we were treated to a while back, but they still clearly show the much talked about dual-edge display. In the meanwhile, Xiaomi has taken inspiration from Huawei, LG and HTC to introduce the dual camera setup in the Mi Note 2. However, this isn't the first smartphone that Xiaomi has introduced with two cameras at the back. The Xiaomi Redmi Pro launched in July also sported the dual camera module. One of the images also give away some of the specification details, and the Mi Note 2 is expected to feature an all metal body, a 5.5-inch Oled screen, 6GB RAM, 128GB inbuilt storage offering, and a Snapdragon 821 chipset. Past leaks suggest that the Mi Note 2 will come with a USB Type-C port, 3600mAh battery, two speaker grilles, and a fingerprint sensor at the front. There's another 6GB RAM/64GB storage bundle expected alongside the above mentioned configurations. The 64GB is expected to be priced at CNY 2,499 (roughly Rs. 25,000) and the 128GB variant should be priced at CNY 2,799 (roughly Rs. 28,000).